Gingham, gingham, gingham... oh where to begin? My first experience with gingham was waaaay back in my early school years, trotting around the playground in our uniform of red gingham pinafores and ankles socks with matching gingham trims. Isn't it funny how everything in fashion seems to come back around full circle at some point? That is, if you count school uniforms across the North of England as fashion... v debatable, indeed. 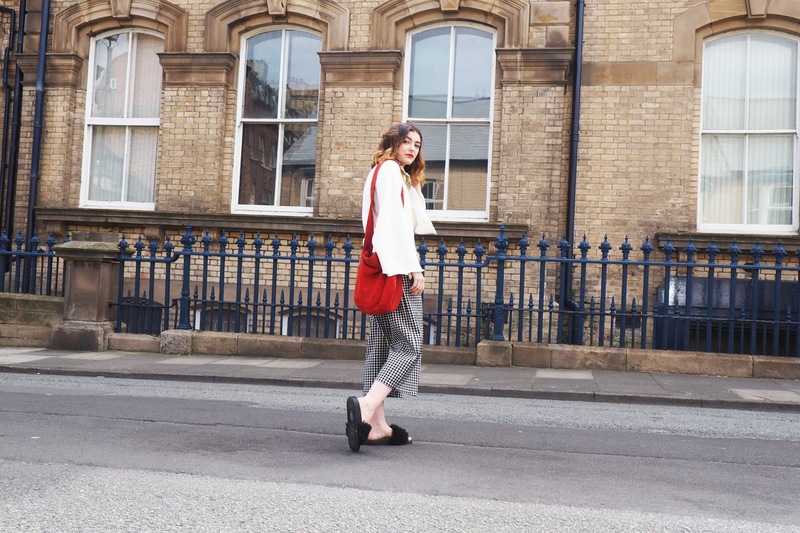 Monochrome pieces tend to never date and therefore always work seamlessly into my rather colourful wardrobe. 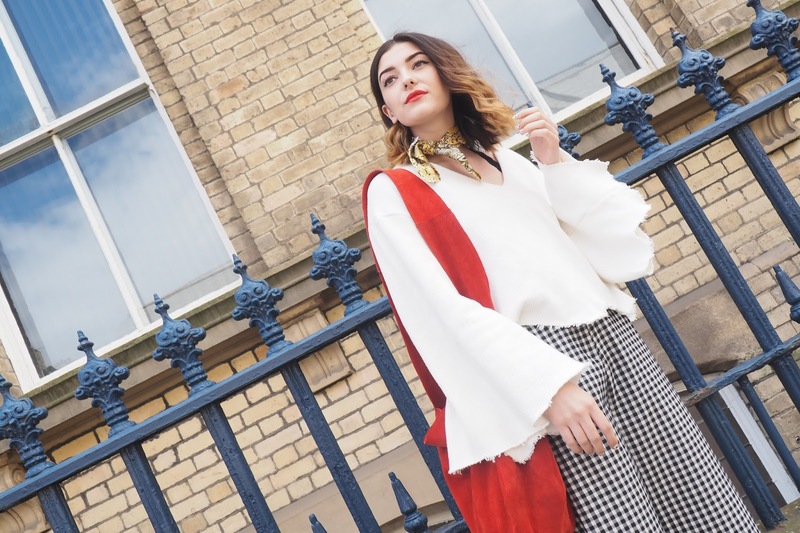 It's a failsafe print that works oh so beautifully with almost everything, not to mention its versatility in taking us through this ever-changing dodgy weather we're having rn. Come rain or shine, gingham will be there ready and waiting for us. 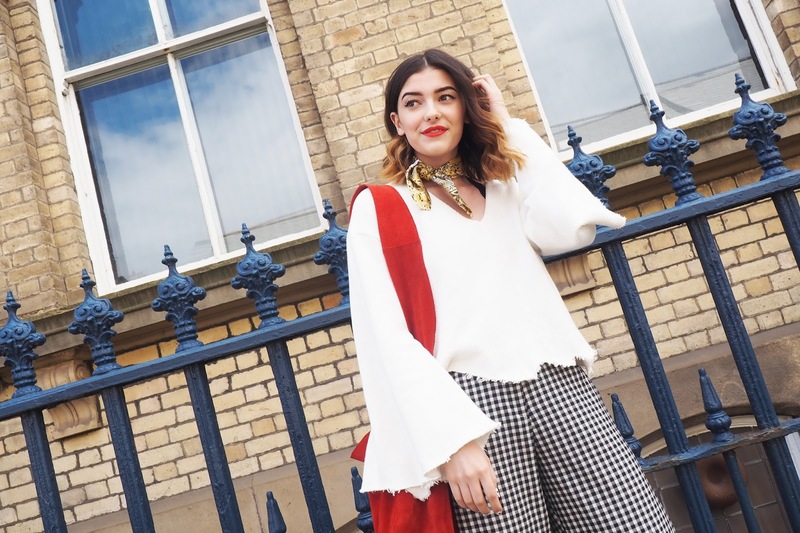 These trousers in particular have another trend rolled into it with this adorable frill detail on the waist, which was just too freaking adorable to resist! Accessorising is becoming more and more prominent in my day to day outfits. I've always been a fan of scandi/bohemian style, but the style never really suited me all too well. 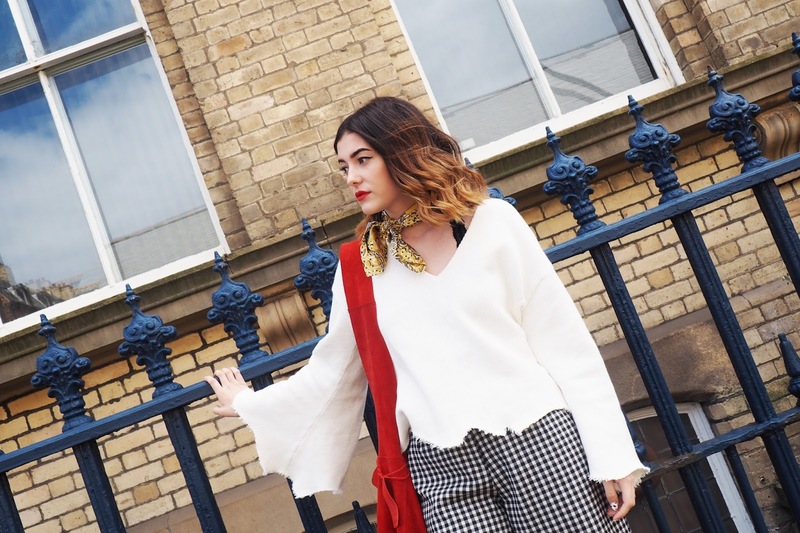 Instead I like to dabble in the style by adding in elements - such as this slouchy suede bag from Topshop in the most beautiful brick red shade, complemented perfectly with this yellow paisley neck scarf. I die! I love this outfit! 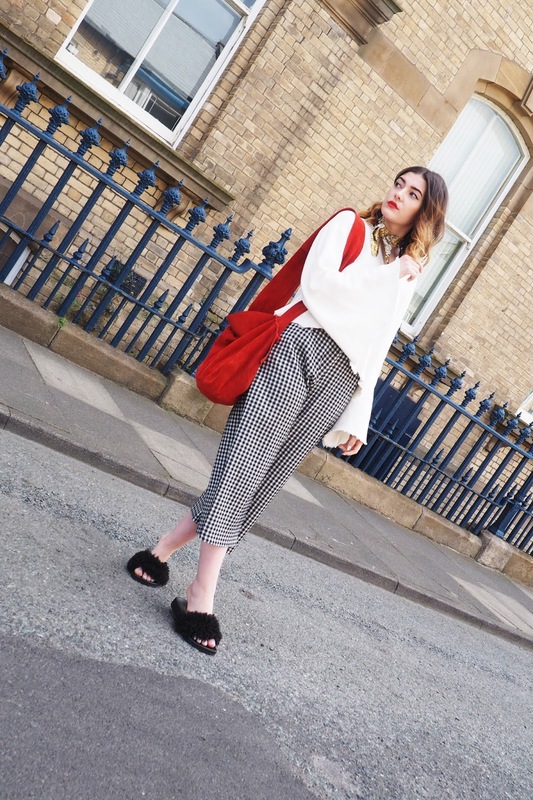 I've admired the gingham trend for a while now but I still haven't got my hands on the print!